We've interviewed kids. We've interviewed librarians. 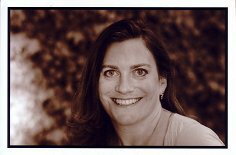 Today we're diving in and interviewing someone behind the magic curtain of publishing: Literary Agent Kate Schafer Testerman! Kate formed kt literary in 2008 and represents some amazing MG and YA authors, including Maureen Johnson, Ellen Booraem, and Stephanie Perkins (among MANY others). Hi Kate! Thanks for taking the time to chat with Kidliterati. How do you typically explain to people outside of the industry what you do for a living? What was your favorite book or book series when you were in middle school? Oooh, well I was a precocious reader, so I skipped right from Judy Blume to Judith Krantz, and by middle grade, I was reading full-on trashy romance novels – not to belittle them at all, but they had the bodice-ripper covers and everything. I used to hide them in my math textbook and read in class. But if I go back before that, I remember devouring the entire Nancy Drew series, loving The Blue Sword and The Hero and The Crown by Robin McKinley, and loving a YA romance trilogy called Caitlin by Francine Pascal. Those I still have! But my husband insists I read them again before I pass them on to my stepdaughter. What Hogwarts house would you be sorted into and why? Ravenclaw, along with most of publishing, I think! It’s all about the intellect. At what age would you buy your own child their own eReader? Have you ever used an eReader for bedtime stories? We actually just gave my 8-year-old stepdaughter an iPad for her birthday – mostly to keep track of books she reads and for learning games, but she’s already been using her dad’s tablet for reading graphic novels, so I think it’ll be an easy switch for her. And my two-year-old loves playing with “The Going to Bed Book” and “Goodnight Moon” apps on my iPhone, and reading along with them. I still think there’s no substitute for sitting down and getting lost in the pages of a good book, but I accept that how people read those books are changing, and that change always seems to come from the newest adopters. If you were in The Hunger Games, what would be your weapon of choice and would you have any chance at all of surviving? Yikes! Well, I’d hope my name wouldn’t be picked, but if I had to enter the arena, I’d probably go for a dagger or a sword, if only because I have some experience with them, at least in terms of stage combat. Though when I went to sleepaway camp, I did manage to kill a frog with a bow & arrow – unfortunately, I was aiming for a target, and missed completely, hitting the frog in the stream behind the bullseye! And while I don’t think I’d win the Games, I’d like to think I might survive the first day or so, at least. Is there a big misconception that writers seem to have about agents that you want to set straight once and for all? We’re not just in it for the money. I think sometimes authors feel if they have an offer already, it’s easy to get an agent, and maybe for some agents, it is. But I have to love every single book I sign, whether you already have a six-figure offer, or I expect a long road of submissions. Which villain from a MG or YA book would you would be terrified to meet in real life? Agents often get asked "what's The Next Big Thing in MG or YA?" Instead of trying to be a predictor of the trends, what do you secretly WANT to be The Next Big Thing in either genre? I love seeing the resurgence in great contemporary YA, but beyond that, I want it all. I think our industry suffers when it seems like everything is the same. Instead of all dystopian or all paranormal, let’s see sci fi next to humour next to urban fantasy and historicals. Bring it on! Thank you so much, Kate, and best of luck as you get ready for your brand new bundle of joy (and future reader) this week! Kidliterati readers, if YOU want to answer any of these questions—especially the one about kids using eReaders because that’s a particular fascination of mine—then feel free to chime in and comment below! I like Kate's spontaneous expression "super spooky bad guy" for villain. Go on with the good work!